Data sits at the center of interactive marketing -- and the awards granted on Wednesday by the Interactive Advertising Bureau (IAB) and its Data Center of Excellence. Wednesday, the IAB and Data Center announced the winners of the third annual IAB Data Rock Star Awards and second annual Rising Stars Awards at the IAB Data and Mobile Symposium in New York City. This year the IAB Data Center Board of Directors named two Rising Stars rather than one. There were 60 nominees for this award, said Orchid Richardson, vice president and managing director, IAB Data Center of Excellence. Judges named Amanda Newport-Foster, data scientist II at Valassis, a rising star based on getting the company to see her progressive views of viewability and media transparency, rather than it being just another key performance indicator and optimization technique. Paloma Torres, senior analyst at GroupM, was named for creating a tool to find new audiences for brands to target. IAB honors these individuals with the hope of encouraging greater interest and advancement in this dynamic and thriving field. 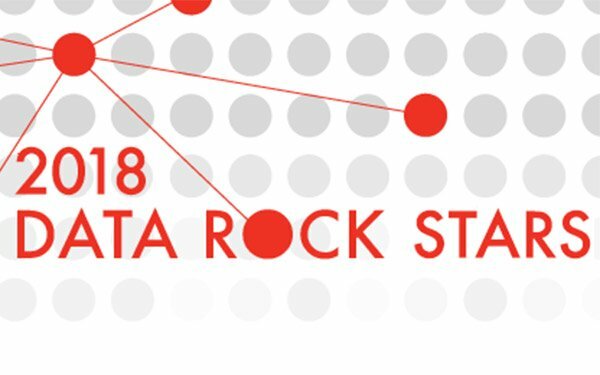 The five winners of the 2018 IAB Data Rock Star Awards are Arthur Coleman, former general manager at Acxiom; Jessica Donohue, vice president of client strategy at Nielsen; Judith Hammerman, head of audience manager at Adobe; John Haws, CTO at Reveal Mobile; and David Justus, vice president of data acquisition and operations at Lotame. Nominations submitted by peers and colleagues from companies were accepted in October 2018. This year’s trends pointed to consumer privacy and ethics, as related to Europe’s General Data Protection Regulations (GDPR), and how to build out audiences and gain a better understanding of data, so marketers can make better decisions. Richardson believes next year’s trends will likely focus on how marketers can gain a better understanding of the data that comes from artificial intelligence and from programmatic. Brand safety and better ways to use data will also become a focus.